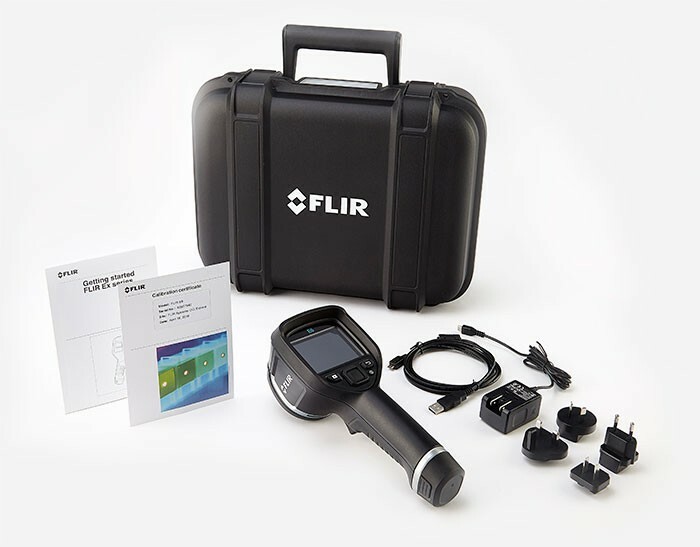 All Ex-Series cameras let you view thermal, visual, and MSX images and store them simultaneously for further analysis using FLIR Tools software. The E8 also offer Picture-in-Picture that inserts the thermal image over the visible photo as an extra documentation option. 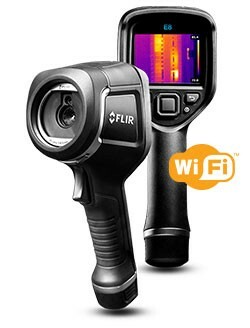 The E8 provides a major jump in thermal imaging resolution with 76,800 pixels — 4 times as many as the E6. The E8's 320 × 240 detector gives you excellent thermal image clarity and puts more temperature measurement spots on the object you're targeting, allowing you to either inspect ever smaller components from the same distance or the same target from farther away, to help facilitate greater safety benefits and convenience.